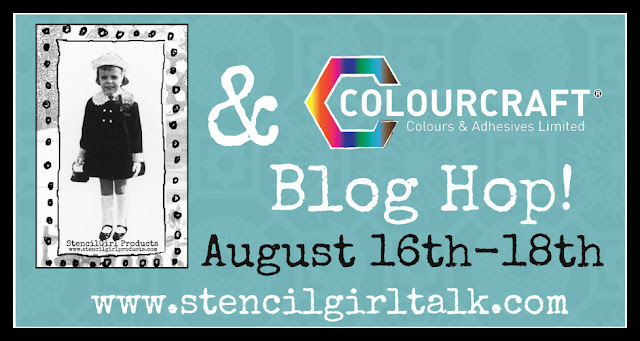 StencilGirl Talk: StencilGirl & Colourcraft Blog Hop – Day 2! StencilGirl & Colourcraft Blog Hop – Day 2! Aren't Janet's painted pouches lovely? 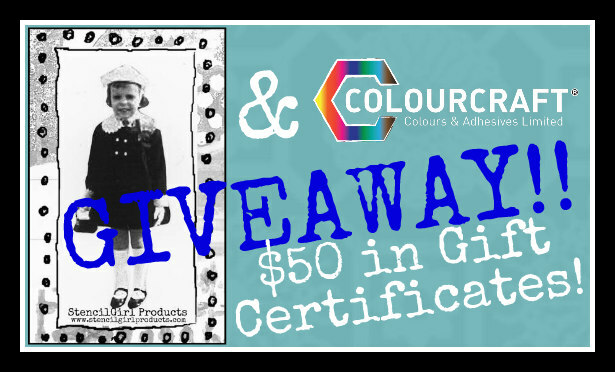 See more details on her blog post here! 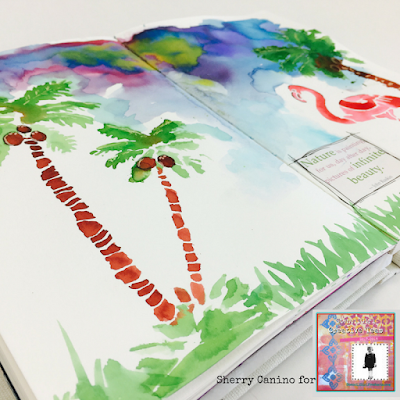 Sherry is creating beautiful art journal pages! 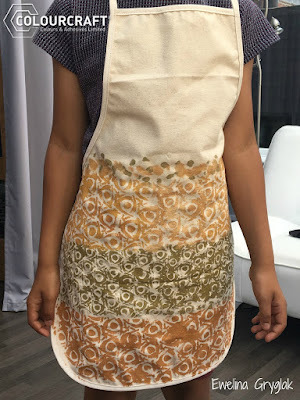 What an amazing apron by Ewelina! What gorgeous layers in this artwork by Katie! would only use it for beauty, not actual work. products I'd not seen before. Another amazing day!!!! Such unique ideas. I love it!!! 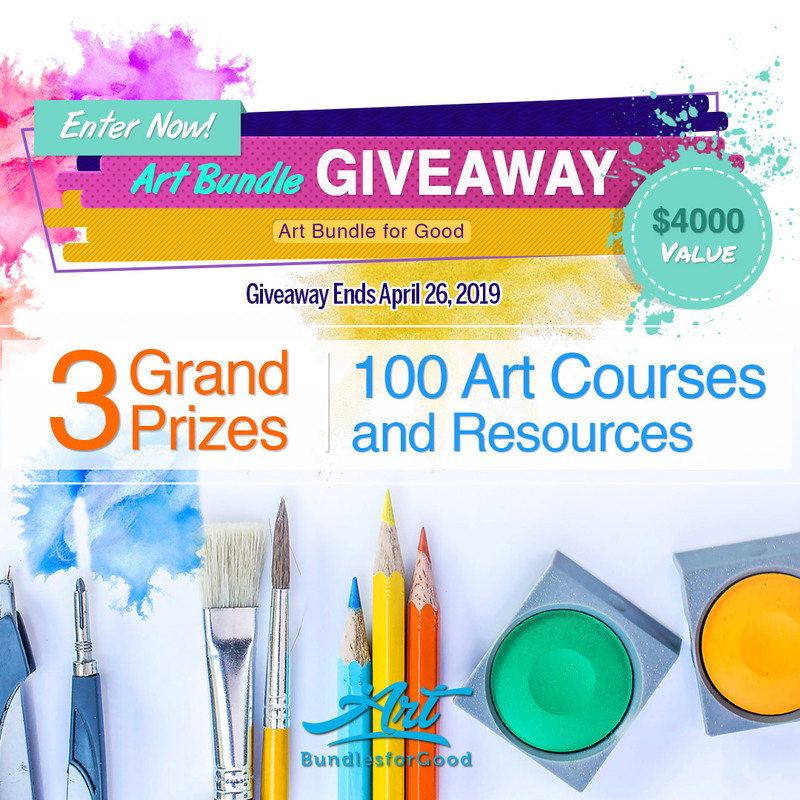 The inspiration has been great!!! Love these stencils. Just love the inspiration from these hops! Awesome projects! 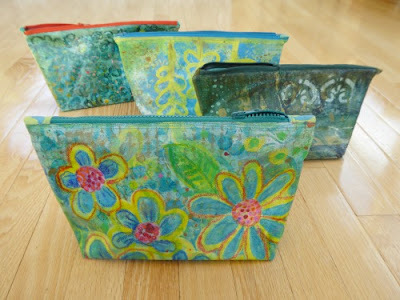 Love the colorful pouches that Janet made!